An Internet subject guide to authoritative legal resources in BC and Canada. Developed by the Legal Services Society of BC and now maintained by the BC Courthouse Library Society. No library card is required to access this resource on the Internet. 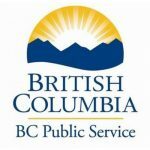 Free public access to the Statutes & Regulations of B.C. MultiLingoLegal – BC’s online access to multilingual legal information. Applications & Forms (EI, Disability, etc.). Good resource for lower income individuals. Provides access to court judgments, tribunal decisions, and statutes and regulations from all Canadian jurisdictions. Provides legal information resources and information services, both for members of the legal community and the public. Provided by the Canadian Bar Association, this is a library of scripts prepared by lawyers on a variety of popular legal topics. Family Law in B.C. – Self-help guides with step-by-step instructions on topics such as how to file for a divorce and lots of fact sheets on other family law topics such as grandparents’ rights, custody, access, divorce, child support, etc. A non-profit charitable society providing public legal education and information to British Columbians since 1972. Canadian laws, their programs and services, and much more. Legal information resources designed to provide B.C. children, youth, and the people helping them with legal issues with information about relevant resources. Canada’s primary Internet site which provides information about Canada, the Government of Canada, and its programs and services. 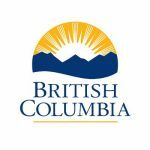 700 services provided by BC provincial agencies and federal government. Natural resource ministries and agencies. Access to over 50 government web sites, plus quick, top-of-the-line information directly on the page.